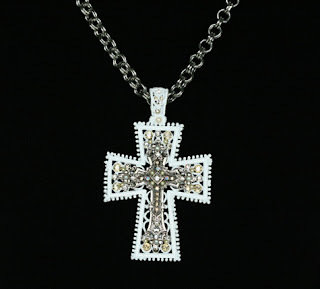 Beautiful Large White Metal Cross adorned with Pearls and Swarovski Crystals. Substantial 16" silver chain adjusts to 18". A must have for Spring! Contact me to order yours now!